In the summer of 2015, I collaborated with contemporary and historical photographer, Michele Selway, to produce ‘Hanging in the Balance’. 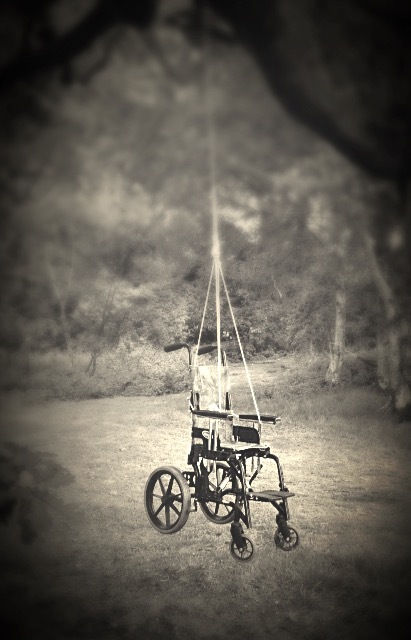 Made in association with Forge Woodland Residency in the Whirligig Woods, ‘Hanging in the Balance’ symbolised the devastating impact austerity is having on disabled people in the UK. 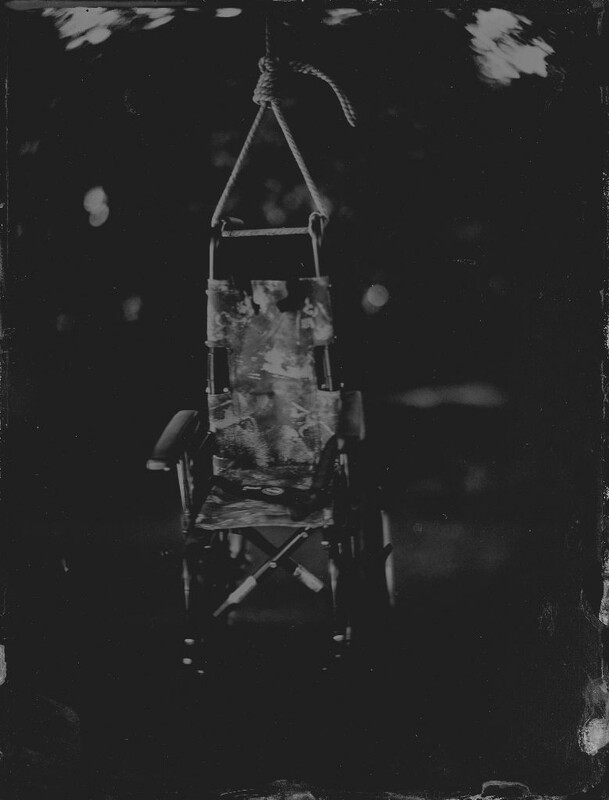 Using wet plate processes in the remote woodland area, we photographed disability related paraphernalia (such as wheelchairs and walking sticks) hanging ominously in the trees. The emptiness of these images, along with the antique process used, creates a haunting double negative. Suggesting a post apocalyptic scenario, these images depict the deep sense of threat and despair many disabled people feel about their future: A future that hangs in the balance. ‘Hanging in the Balance’ toured across Wales in association with Disability Arts Cymru between October 2015 and June 2016.